According to the Atlanta Journal Constitution,"The Georgia Supreme Court on Monday ruled in favor of the state and Kia Motors in an Open Records Act dispute involving a job-training program established to lure new business to Georgia." 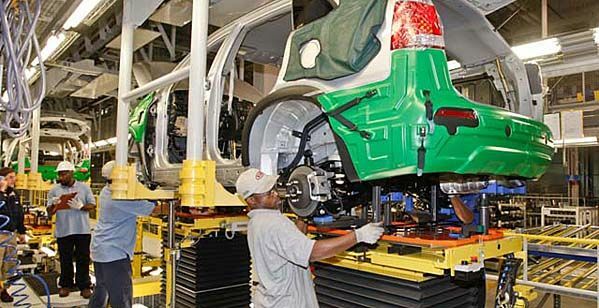 Kia was lured to Georgia in 2008 with the promise of a job training program to find qualified workers to run the plant. Things got tricky, observers pointed out, when unemployed auto workers from the Rust Belt (i.e. Michigan and other Midwest states) applied for the job training programs but were turned down. They cried foul and decided to take their case to court. Somewhat surprisingly, according to the newspaper report, "A Fulton County judge had ruled that an amendment to the Open Records Act had been illegally enacted in the state’s efforts to thwart unemployed auto workers from obtaining information about Quick Start’s customized job-training program." The kerfuffle was started "by unemployed, union autoworkers who were among 43,000 people who unsuccessfully applied for jobs at the Kia plant in early 2008. They contended Kia created a screening and hiring process that blacklisted union workers when it filled the 1,200 initial jobs needed to start production," the article said. KMMC has become a major player in Georgia and a negative court ruling against it could have been disastrous to the local economy. According to the KMMC website, it is responsible for the creation of more than 14,000 jobs in West Point and surrounding areas and more are being added with the opening of a Hyundai Dymos plant next door to KMMC. Dymos, owned by the same company as Kia, will provide seats for Kia models. The disgruntled autoworkers may still have a glimmer of hope in the case. The court, in its opinion, sent the case back to the lower court because not all records might be exempt from disclosure. For now it appears that the Optimas and Sorrentos can continue production unimpeded down in Georgia.